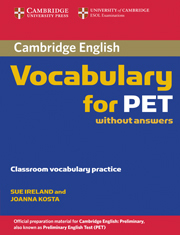 Covers all the vocabulary needed for the PET exam with exam practice of all papers. 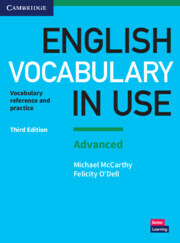 Tips on how to approach exam tasks practised in the book and how to learn vocabulary are ideal for the self-study student. Appendix containing key word lists, including collocations and phrasal verbs provides a useful checklist and revision resource for students.